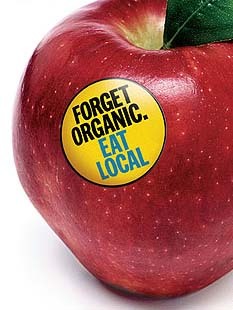 Eating local, not organic is not a new concept as Time Magazine published this cover March 12, 1007. But food is fashion, and the subject of food origin is in style again with a new Time Magazine, October 15, 2012 article. But what is eating local? In 2008, USDA stated local is "related to the distance between food producers and consumers," (and) "defined in terms of social and supply chain characteristics." That distance is described as either 400 miles or within the state of origin. Locavores squeeze this definition further and challenge people to eat within 100 miles of their home. They talk about the "foodshed" where local food is defined ecologically by climate, soil, water, and species. Can't these two eating concepts co-exist? Land is key. The issue is how much farmland is local and how much local soil is certified organic. While we stand in the grocery aisle debating between pesticides or petroleum, farmers are fighting over a niche market. It is increasing, but it is limited by its parameters. Today it represents less than 1% of the food we eat. If you want to eat local and organic, consider signing up for a CSA, or community supported agriculture. Purchase a "share" in the farm's outcome and accept what they can produce. If you can't identify what's in the weekly box, want something different, or the growing season is over, Whole Foods and other natural foods markets work well to source food for you. Feel thankful that you can consider these choices as challenges. 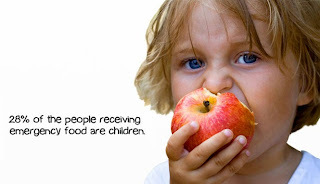 Most people eat what is offered by national distributors and produced by large agribusinesses. High energy prices are less challenging than providing a year round food supply of fresh produce in areas of limited growing seasons. In the end you are what you eat, not where your food comes from. So far pesticide residue has not been proven lethal and it is a pretty sure bet that the planet will survive our carbon footprint.